hé hé, pas mal du tout celui-ci! hi i'm a brasilian girl and i loved your blog! It's so gorgeous! I never went to Paris, but i want in future. If you want visit me too, i go write about your posts in my blog, ok? I love this blog I somehow just stumbled upon.. I've sadly never been to paris but spent a quite a bit of time with ny through my 20s to know it's always got a part of my heart.. I channel miss carrie bradshaw from time to time on my blog.. I love it, keep going! Adorei seu blog, assim como amo Paris e NY! Muito criativo, divertido e bonito. Parabéns pela ótima idéia! What a delight. And I'll take Ameli any time! perfeck.. 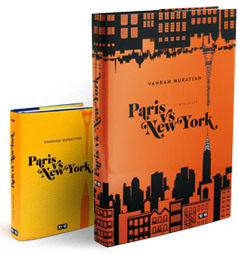 I like your blog.. very nice.. bay the way why do you write about paris vs new york.? Creative, but there's nothing special about this blog. I love France, Paris, especially. And I love New York as well. I had been into these cities, and I certainly adored the architectures. But my experienced with the locales were not delightful. Perhaps it was just me or the environment they live in. ah ce blog est terrible ! j'adore...encore pelase ! great blog idea!! haha. i love the designs! a very cool picture! Someone mentioned hk vs buenos aires. Never been to hk, but I have lived in Argentina and BA. BA is like a mixture of NYC and Paris! Paris ne peut être comparée qu'à Rome. Hi~~~ Wow! These are brilliant! You guys’ blog is more interesting for me because our one is about Paris and Seoul. So I’m little bit jealous of your cool idea & point of view. Anyway I’ll share yours with my friends on our blog. Salut! Française (semi Parisienne), j'habite à NY depuis plusieurs années, et... merci pour ce blog ! super idée ! je suis sûre de pouvoir trouver des idées de ce type, si je pense à qqchose de "graphique" (I mean, dessinable), je vous soumettrai l'idée! merci encore! Love this! 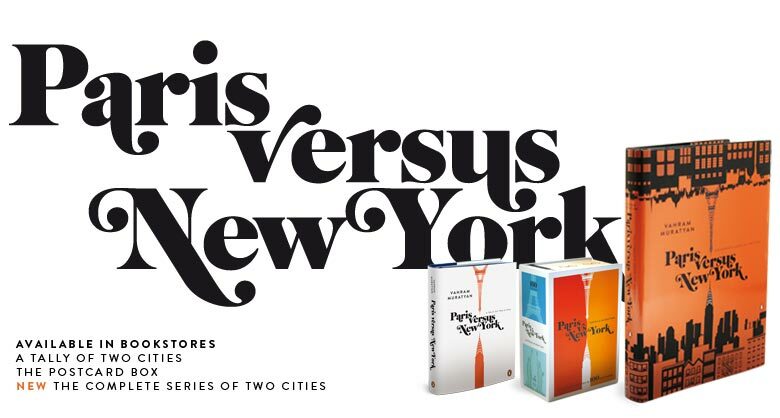 I live between NY and Paris, I agree with all the graphics! j'aime votre blog, j'habite dans New York aussi et j'ai un planification d'aller a Paris France!!! Your blog is so creative - bravo! I'm a New Yorker, but I love Paris too. They're perfect side by side! Simple vs Complex! hmmm! but i like the Simple thing! Nice! love ur blog very much! Just discovered your blog and think it's an excellent concept! Will follow. bonjour there, your works are l'amour for aspiring graphic designers! so another link to add to yr review list! i'd love to review you too for whiteboardjournal, a publication i work at - could you let me know what book have u published - its in french, i dont understand! pardon..
hope you reply soon - ah just drop me a note in my blog is better so i know! id be also reviewing in one of my design curated blogs so yeah. a new fan. 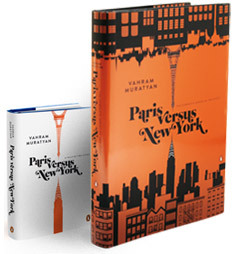 J'aime Paris and I love New-York, je connais plutot bien les deux villes et franchement vos observations sont vraiment tres justes et vos illustrations sont brillantes. Looking forward to the next round of illustrations! Merci et bonne continuation. 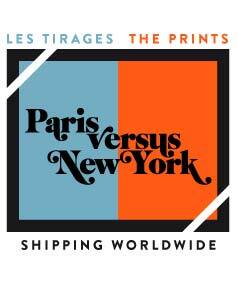 Love your blog, I live in Paris, New-York is my next favourite, so it's perfect! I love Paris and New York <3 Great idea. This is great! Two of my favorite ladies. Ingenious. Your blog is my new favourite find. I'm loving your concepts - keep going! Encore une fois, bien trouvé!!! I love your blog, and I can't wait to buy the posters when they will be printed. Bravo! fan of both amelie and carrie! i love this! I live in NY and spent a month in Paris this summer, and I adore this blog. What a great idea! amazing concept - i love it! how can i purchase a print? ahh this is great! two of my favorite heroines ever. Really nice blog, I gonna follow for sure. hahaha, so very awesome. LOVE it. xo. Your blog is inspirational. Love it. 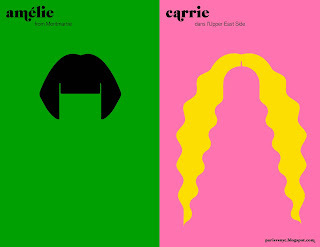 Would love to buy prints for all esp Amelie & Carrie. U got a new follower. I love this blog it's so beautiful. You should really sell these prints. Carrie lives downtown, though. In Perry Street. Je suis une américaine qui adore les deux paris et new york; je suis restée à les deux. Je ne decide pas lequel je préfère! Mais vos collages sont magnifique! Encore, bravo! Such a great fun . . . .
Love them both... Love the book! Romantique, définition et synonymes du mot romantique dans le dictionnaire. ... "C'est l'étrangeté ajoutée à la beauté qui confère un caractère romantique à l'art. this admin who's have this blog is very creative.